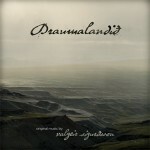 Draumalandið (Dreamland) is the soundtrack to a feature-length documentary, also entitled Dreamland, by Thorfinnur Gudnason and Andri Snær Magnason. The documentary tells of how Iceland, which had achieve, in the late nineties, a high level of civilisation and managed to preserve most of its natural resources, embarked on the construction of the biggest dam in Europe to produce cheap electricity for an aluminium smelter to be open by international aluminium producing company Alcoa, in eastern Iceland, on the eve of the country’s economic collapse, and how clean energy, jobs and economic growth may turn to be ecologically disastrous for the country. Gathering around him the entire Bedroom Community collective for the project, Valgeir Sigurđsson creates here an ambitious score that echoes the documentary’s vast themes and visual impact. Aside from the opening piece, Grylukvæði, for which Sam Amidon provide vocals in Icelandic, and later on Cold Ground, Hot, there is nothing of the glitch-ridden effusions that characterised Sigurđsson’s previous album, Eqvílibríum, to be found here. Instead, he relies on a small orchestral ensemble to provide the necessary balance between elaborate pieces and much more restrained and introvert moments. At times, the scope is reduced to piano brushes laid on delicate string work, as is the case on “I Offer Prosperity And Eternal Life” or Draumaland, Nico Muhly providing delicate crystalline touches of celesta on the latter. At others, the string formation leads the orchestra into expensive and often emotionally-charged pieces. Past Tundra rises from solitary cello textures, supported by discreet marimba, into a powerful orchestral flow, while Laxness, Hot Ground, Cold or Nowhereland are much more intimate yet occasionally thrive for more amplitude. Elsewhere, Sigurđsson pushes into more experimental terrains, especially with the dissonant prepared piano of Economic Hitman and the fractured instrumentation and melody of Beyond The Moss. The album concludes with the sweeping and grandiose Helter Smelter, which progressively swells into a magnificent coda. With his previous record, Valgeir Sigurđsson found himself at the confine of pop, electronica and cinematic orchestral music. 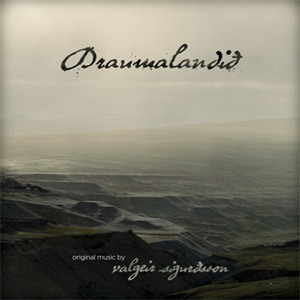 With Draumalandið, he is given the opportunity to let the latter come to life in a particularly appropriate context. Here, Sigurđsson adopts a restrained approach to the soundtrack to a particularly grave film, and he does so with great lucidity, underlying the content with powerful yet discreet touches. His greatest achievement is to manage to give the music an identity away from the images it was written for.